This savory appetizer spread of smoked salmon is served over cocktail slices of pumpernickel bread and topped with an herb Greek yogurt. 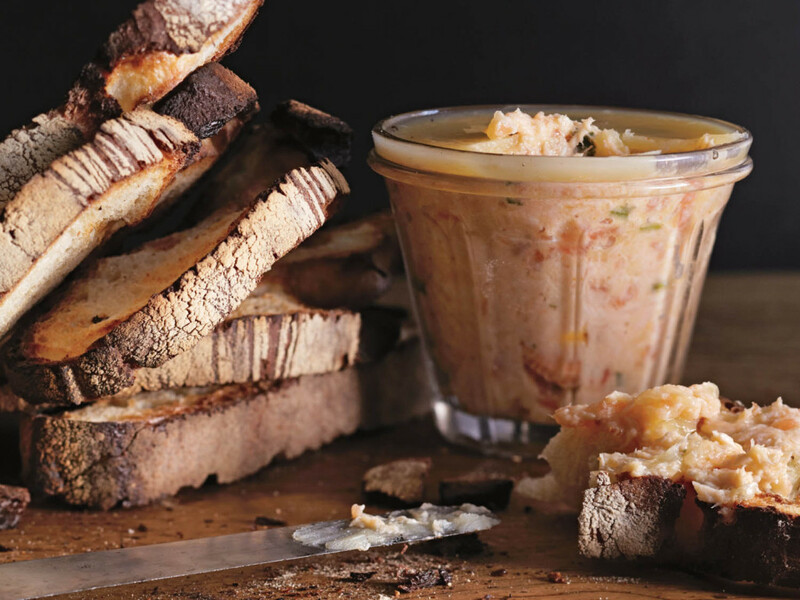 Make Smoked Salmon Rillettes and Dilled Yogurt a part of your party menu. 1. In a medium bowl, stir together salmon, onion, chives, capers, mayonnaise, 1 tablespoon lemon juice, and 1/4 teaspoon pepper. In a separate small bowl, stir yogurt, dill, remaining tablespoon lemon juice, and 1/4 teaspoon pepper. Refrigerate mixtures until ready to serve. 2. Spread 1 tablespoon salmon mixture onto each of the pumpernickel squares. Top each with about 1 teaspoon dilled yogurt, and, if using, dill fronds.